Mary is the author of two best-selling books, No Less Than Greatness and BuildingYour Field of Dreams, which became a PBS special. 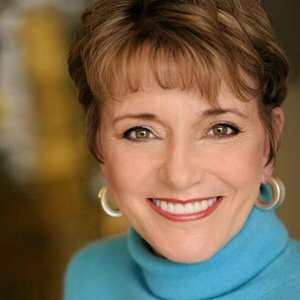 Speaker, best-selling author, and consultant for over three decades, Mary Morrissey’s transformational talks and seminars have made her one of the elite teachers in the human potential movement. She is the president and founder of LifeSOULutions, an international company providing programs and products that transform dreams into reality. Her work takes her weekly to different parts of the globe. Mary is the Co-Founder and the first President to the Association for Global New Thought. Along with Dr. Michael Beckwith, she became the first New Thought minister to be appointed to the Executive Counsel of the Parliament of World Religions. She has spoken three times at the United Nations as the national Co-Chair for A Season of Non-Violence, Representing the Association for Global New Thought, she has co-convened and facilitated 3 different weeklong meetings with His Holiness The Dalai Lama in leading conversations with world leaders, and addressing the most significant issues our world is facing. In addition, as part of the Gandhi-King delegation, she met with Nelson Mandela in Cape Town, South Africa.